These guys totally rocked my photo shoot! Better than professional models they had some fun energy to spend! 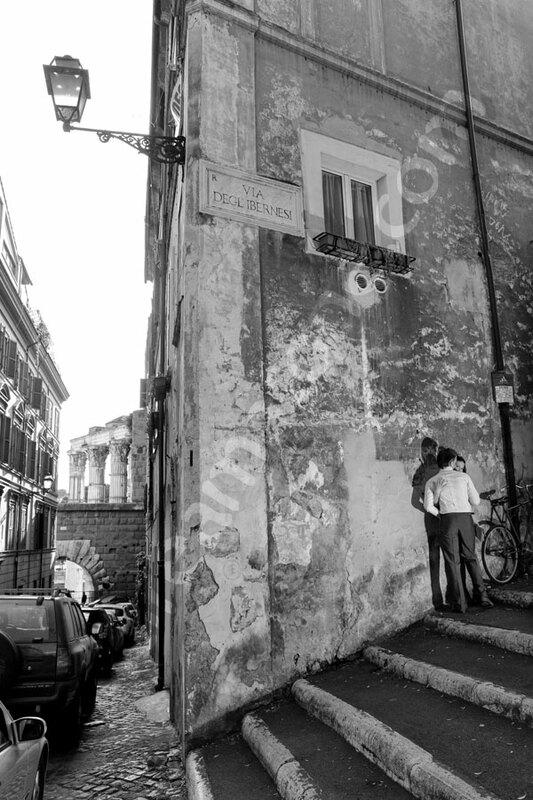 We walked around Rome looking for create angles and when we saw something amusing to shoot we were set-up in a second. Laughing and having a genuine good time made it very easy and enjoyable; also for many bystanders which looked at us like something to watch and to photograph! 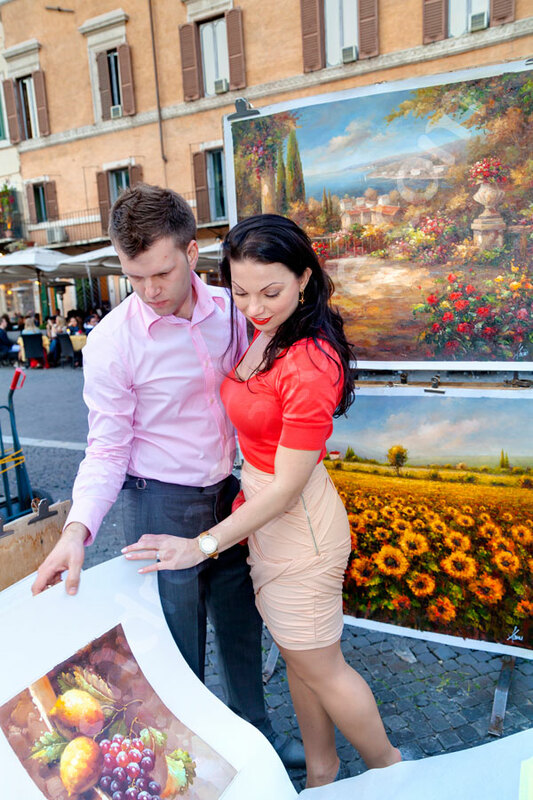 The pictures look like a tourism spot on how to be young and fun in Rome. 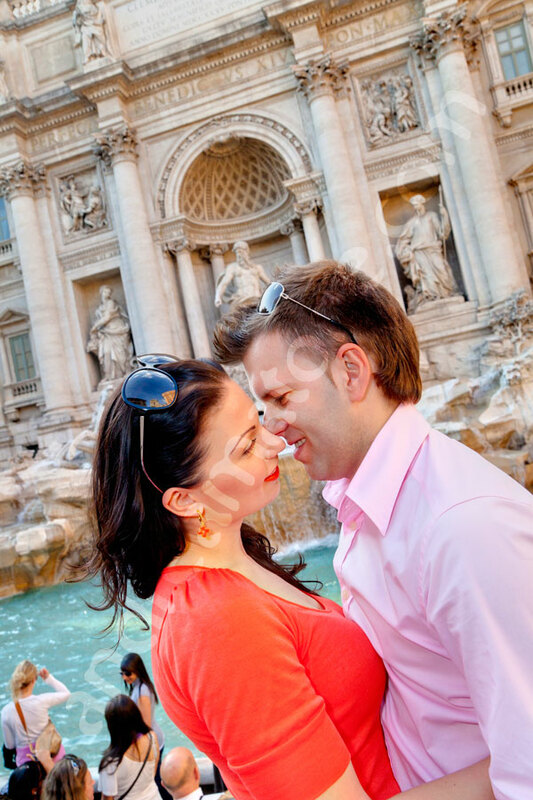 Let’s see we started at the Roman Colosseum where I had noted a few pictures I wanted to try out and swiftly moved onto Fontana di Trevi with so many things happening in between. One of which is the picture of the fish restaurant which I particularly enjoyed shooting and touching up but not as much as the acrobatic picture took at San Ivo alla Sapienza! After Fontana di Trevi we got lost in the alleyways but luckily we got saved by a cool glass of prosecco before continuing with the Roman Pantheon and Piazza Navona. 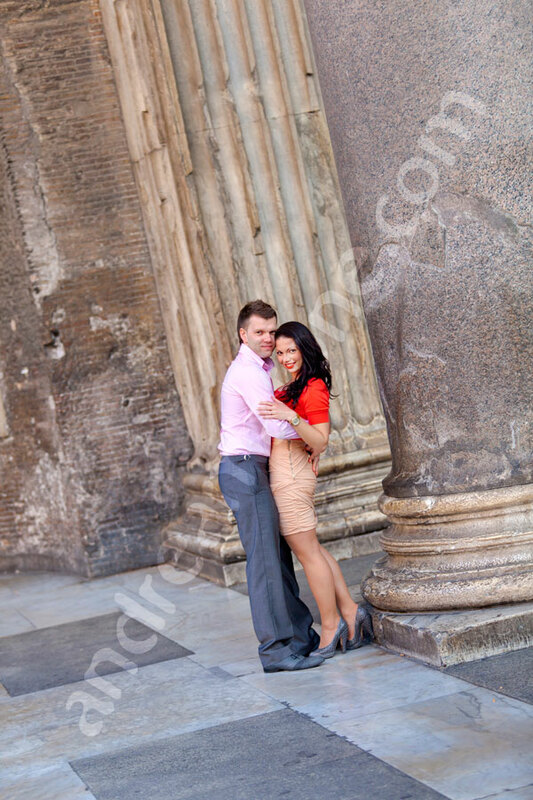 Thank you so much for the wonderful time and the chance to photograph your wedding anniversary in Rome. Here are some similar picture posts which may be of interest. A fun and creative and very acrobatic photographic session. Walking from location to location looking for unique posing ideas to make the anniversary a memorable experience.